Blue cat whose history goes back until the 8th century. 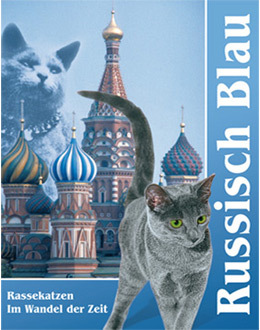 As a favourite of the Russian Czar this wonderful cat race became socially acceptable during the 18th century and doesn´t only enchant aristocrats with its deeply green eyes since then. Build: Slim, graceful cat with a stretched out muscular build on slim legs which end in oval paws with lavender coloured soles. Coat: Double, very elegant, silky soft, plushy and tight. It should be coloured to the end of hair and should have a clear silver shine, blue grey, regular and pure. An average blue grey with silver shine is prefered. Tail: Medium long, well proportioned to the body, moderate broad outset and not very pointed. 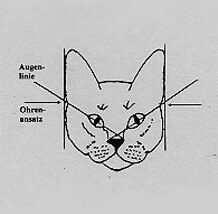 Eyes: Big, aparted positioned, almond-shaped and with a intensive dark green colour. 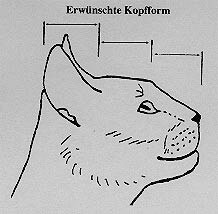 Head: Wedge-shaped, straight nose without dent. Distinct nose hair existing. The profil is slightly arched with a straight forehead and distant to the top positioned pointed ears. 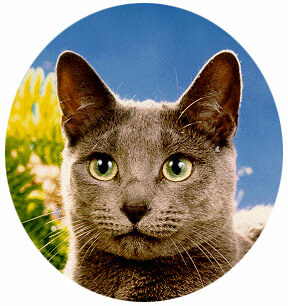 Nature: The Russian Blue is the aristocrat of the racecats. High-classed, distinguished and sometimes a little bit reserved. Usually he doesn´t like strangers. He speaks with a calm, tender and unassuming voice. The Russian is very faithful to his keeper and a really calm housecat. Suitable for: People which are used to cat handling and don´t have a very turbulent household and are looking for a faithful cat, which is devoted to their keepers but reserved to strangers. 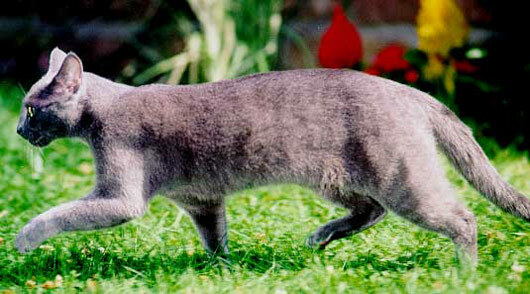 The Russian Blue nearly needs no coatcare.